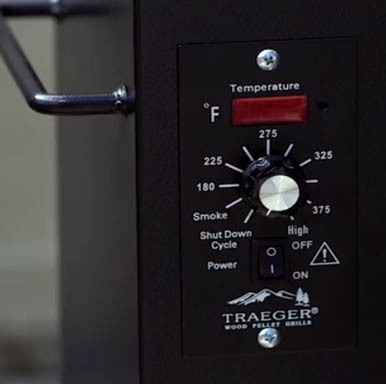 When it comes to pellet grills Traeger used to set the standard. It’s hard to believe now, but just back in 2008 Traeger was one of only two companies selling pellet style smokers. Nine years later and we’re a bit spoiled for choice. With so many decent options out there, it’s worth seeing how the original performs. As the kid brother of the Traeger Lil’Tex Elite, the Traeger Junior Elite is a wood pellet grill that’s not only affordable when compared to other wood pellet grills, but exponentially more portable as well. 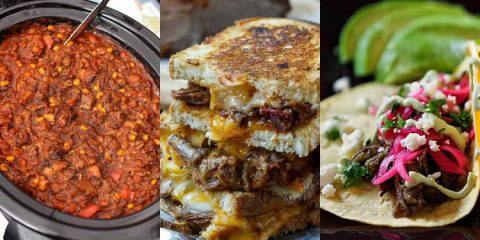 Tough, easy to ignite, and possessing a lightweight construction, it thrives as both a home and tailgating grill that can be easily taken from place to place. The Traeger Junior Elite falls right into the bargain end of our $400-$1200 suggested price range. 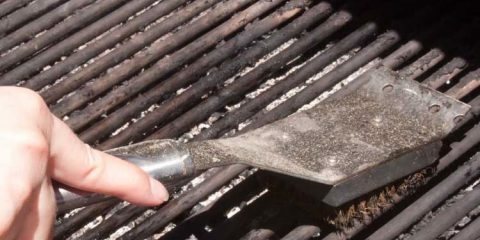 While you can pick up a pellet grill for cheaper, but we really wouldn’t recommend it for this type of grill. 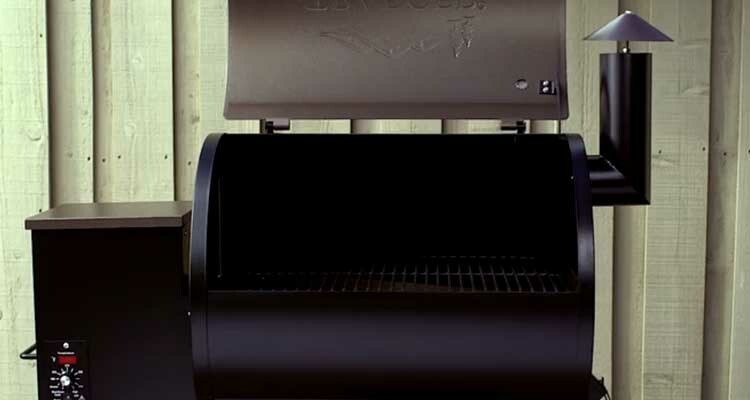 This grill stands out above other pellet grills because of its increased portability. This is not only a great grill for producing smoky and flavorful foods, but for tailgating as well. 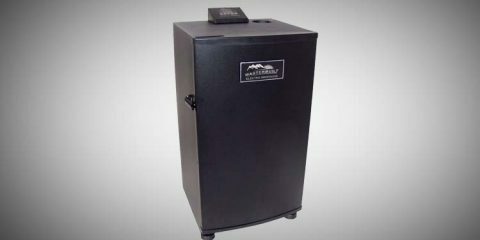 Whereas many other pellet grills weigh in at around 100 pounds, the Junior Elite weighs in at around only 60 pounds. This light weight combined with its 37 inches x 18 inches x 36 inches dimensions make it very easy to store and transport from place to place. Of course, because it’s smaller, it does sacrifice some grilling space. However, its 300 sq in cooking surface (20-inch x 15-inch) leaves you with more than enough room to cook quite a bit of meat. There is no reason that it shouldn’t be able to accommodate, at the very least, a medium sized barbecue. Possessing a built-in, digital thermostat, this grill is able to gauge cooking temperatures in real time, offering you complete control over your cooking experience at all times. However, it should be noted that it’s prone to temperature fluctuations, especially in cold weather. 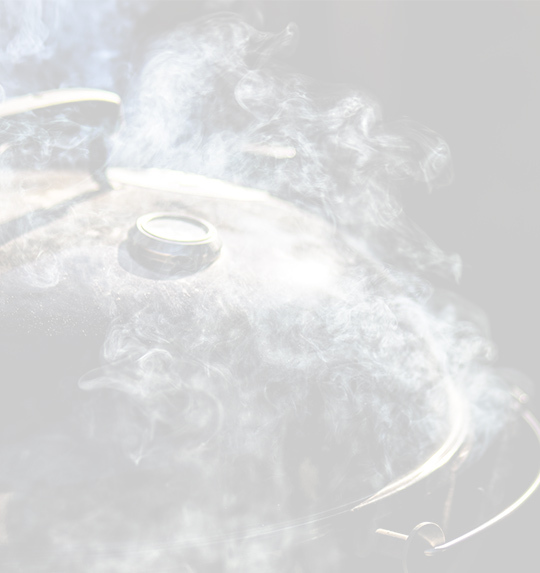 Thermostatically controlled – These types of pellet smokers are usually more accurate so you can safely leave it cooking all night. Equipped with a built-in, digital thermostat, this grill produces easy-to-see and accurate temperature readings in real time. Extremely Portable Design – Weighing in at just 60 pounds, and measuring in at 36 inches x 18 inches x 37 inches, this grill is exceedingly easy to store and transport from place to place. 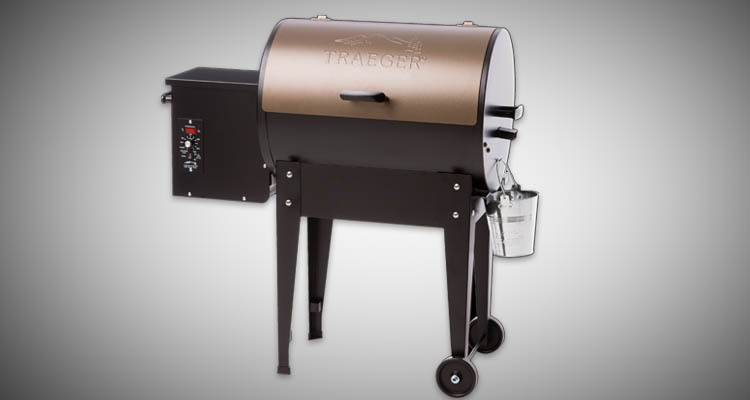 Comes with a 3-year Warranty – Traeger shows that they stand behind their product by including with it a 3-year warranty. This warranty covers all aspects of the grill as well as its various parts. 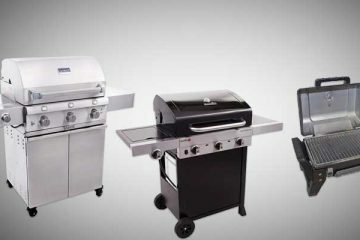 Sits a Little Low – Unfortunately, the cooking area of this grill sits only about 3 feet off the ground, forcing tall users to have to bend over in order to grill adequately. Can be prone to temperature fluctuations – This is mainly a word of caution for those of you who will be cooking in extreme conditions. The three position controller doesn’t actually monitor the internal temperature, so pellets run the same whether it’s a freezing cold or boiling hot summers day. 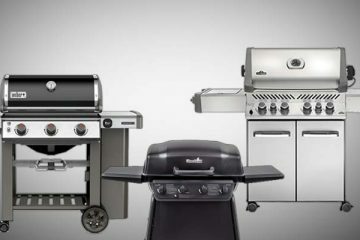 If you want to see how the Junior Elite stacks up, we have a more in-depth guide to the full range of Traeger grills. Overall, the Traeger Junior Elite possesses fairly good construction and design quality. It’s not perfect, but considering that it’s not a ridiculously high-priced, top-end grill, this is to be expected. Made out of heavy-duty steel, this grill is designed to withstand not only the heat from within, but the harmful elements from outside. This is not the type of grill that will be ruined by being left out in the rain for a couple of days. With a 20-inch x 15-inch porcelain cooking grate, you get a decent amount of cooking area. That’s large enough to cook up to around 12 hamburger patties at once. The ignition process of this grill is spurred on by an auger that exists at the bottom of the grill’s internal bowl. This auger leads to a hot rod which instantly sets blaze each wood pellet that comes into contact with it. All you have to do it plugs it in and let it burn. Exceptionally portable for a wood pellet grill, it weighs in at just 60 pounds. Equipped with two lockable wheels, it can be rolled easily to and from locations. For the most part, in terms of construction and design quality, this is a very solid grill. It’s not only tough and durable, but uber portable as well. When you consider that it also contains a fairly large grilling grate, you aren’t going to get much better for the price point. For the most part, the Traeger Junior Elite is fairly easy to use. It can take a while to assemble, but the assembly itself is actually pretty easy. At most, it shouldn’t take any more than an hour and a half to put together. The instruction manual is reasonably detailed and easy to follow. Once it’s put together, it’s beyond simple to use. It operates by being plugged into an 110v electrical outlet. The electrical outlet provides it with the power to heat up its hot rod. To heat up the hot rod, you simply turn the built-in thermostat on the grill. You can turn this thermostat to one of many pre-sets including “Smoke” “High” and various points between 180 and 375°F. 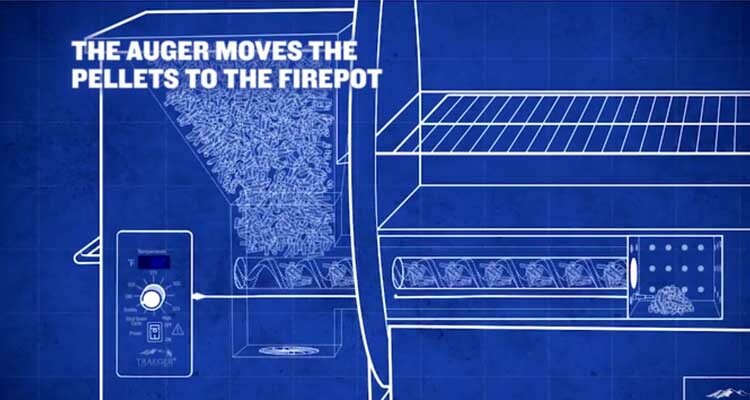 After you’ve turned up the thermostat, you ignite a fire by dumping wood pellets into the grill’s auger. The auger will lead the pellets down to the hot rod, which will them set them ablaze so that smoke and fire is produced. The one real problem you can run into when cooking with the Junior Elite is keeping it at a consistent temperature. 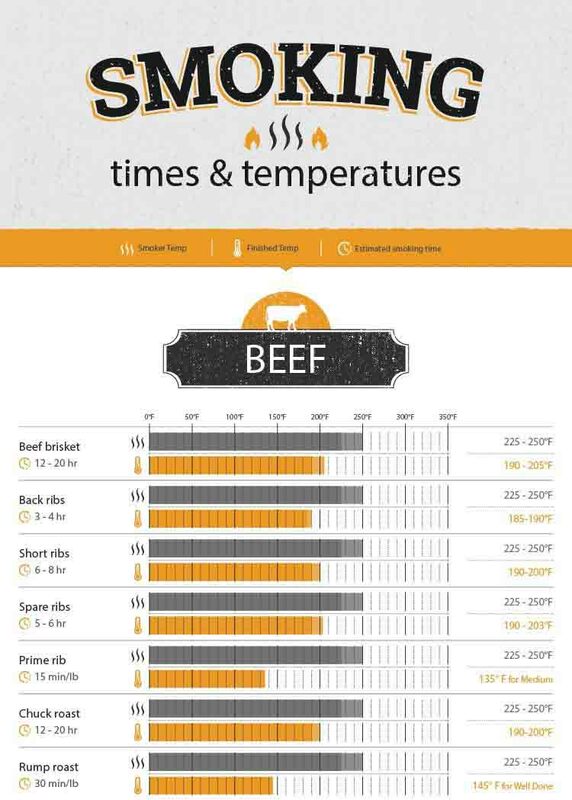 Despite the fact that the grill possesses a thermostat, it can’t always maintain an accurate temperature. As pellets burn away, temperatures tend to decrease. For most people this won’t even be noticeable, but if you really need to dial in and control your temps then this may be a slight concern. Now that we’ve gotten into detail about the Traeger Junior elite, let’s compare it to its big brother, the Traeger Lil’Tex Elite. In general, these two grills are very similar. However, there are some small things that separate them from each other. The most obvious difference between the Junior Elite and the Lil’Tex Elite is in their respective sizes. The Lil’Tex is much bigger than the Junior Elite. In fact, measuring in at 42 inches x 22 inches x 49 inches and weighing in at around 100 pounds, it’s about 50% bigger. Of course, because it’s bigger in stature, the Lil’Tex Elite also provides you with more cooking space. Whereas the Junior Elite is equipped with a 15-inch x 20-inch grate, the Lil’Tex Elite is equipped with a 22-inch x 19-inch cooking grate. That means you get 418 sq inches of cooking surface compared to 300 one the Junior Elite. If you know you’ll be cooking for a larger group often, it’s well worth spending the extra. It’s much more expensive to upgrade down the line that to just get a little bit of extra space now. Both pellet smokers provide quite a bit of grilling space though, with both capable of easily serving a medium sized backyard barbecue. Unless you need to grill absolutely enormous amounts of food, the Junior Elite will serve you just fine. Should You Buy the Traeger Junior Elite? Relatively inexpensive, the Traeger Junior Elite would be greatly beneficial to those who are looking for a wood pellet grill on a budget. In addition, because of its relatively small stature, it would be a terrific grill for tailgaters who need to bring it on the go. It’s certainly not the best wood pellet grill around, but for the price you can’t really beat it in terms of accuracy, size and build quality. So you’ve pulled the Traeger on the junior elite (sorry couldn’t resist the pun) and are ready to fire it up. 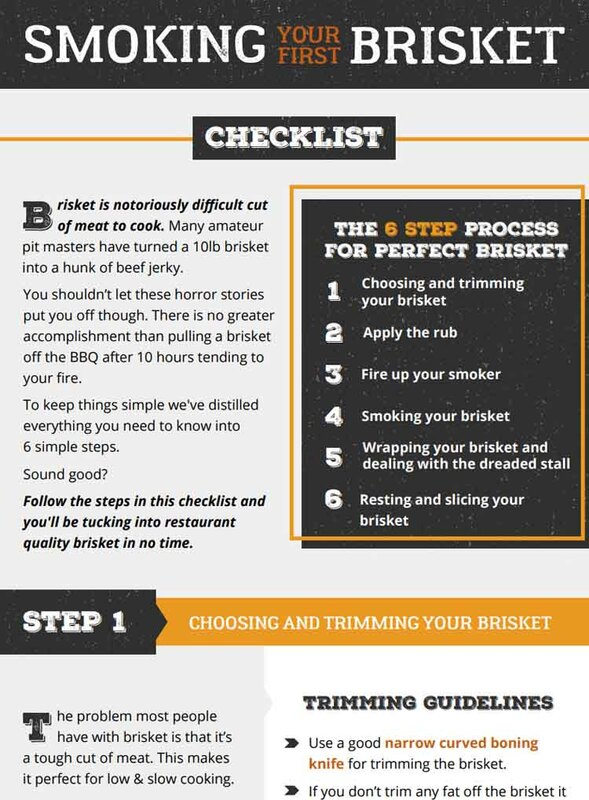 Before you do, we’ve got some tried and tested tips to make ensure you’re first smoke is a success. While you can buy a range of different brands of pellets, definitely start off using the Traeger brand of wood pellets. We’ve found other brands to cause issues with low temperature. Apple is a good mild wood to start with. If you’re going to be cooking in the low and slow 225°F temp range, a good way to get to a stable temp is to leave the lid open for the first 10 minutes before shutting it.